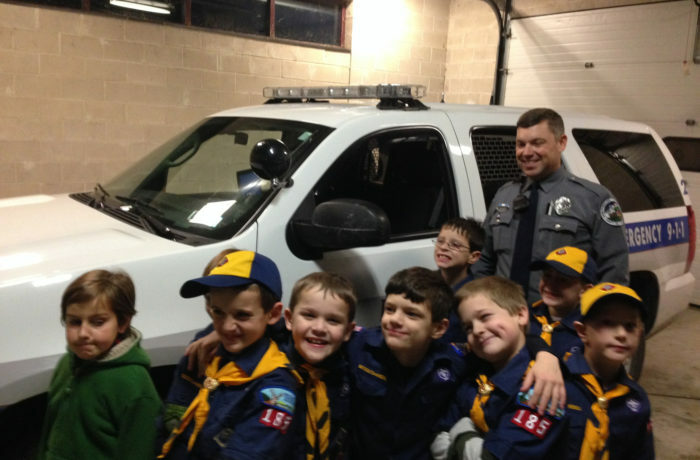 Pack 185 gives boys (age 7-10 years old) the benefit of participating in a group that is focused, provides a safe environment, and gathers with like-minded families. The boys will participate in various campouts, Pinewood Derby Races, nature hikes, field trips, service projects, and more. Scouting is not only a great adventure, it's also a great builder of self-esteem and social skills, and a great way to meet new friends and learn new things. In order for your son to sign up for Cub Scouts, a parent must be present. The membership also includes a subscription to Boys' Life magazine. Cub Scout Pack 185 meets every Thursday at 6:45 P.M. at St Isidore School. We hope that you will join us!